Why walk when you can bounce? Our selection of premium Pogo sticks offer great performance and safety and we have something for hoppers of all ages. These German made Qu-Ax Po-go sticks are among the best around so get bouncing today. 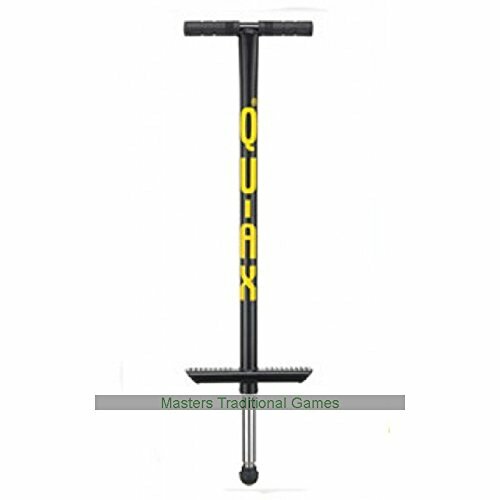 The V200 Pogo stick from Qu-Ax offers hours of jumping fun for Adults and adolescents up to 80kg in weight. This pogo stick is CE certified and ready for use straight out of the box. Adults up to 80kg (just over 12 and a half stone) can perform tricks and enjoy some old school silliness. If you have any questions about this product by QU-AX, contact us by completing and submitting the form below. If you are looking for a specif part number, please include it with your message.